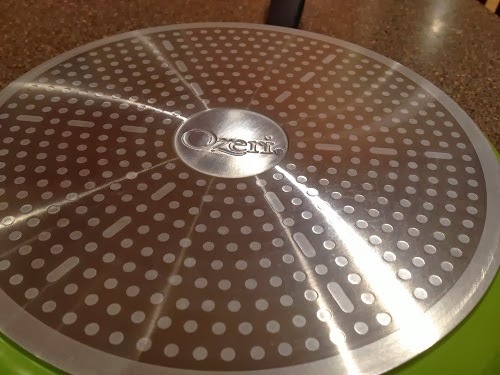 The 12-inch Ozeri Green Earth Textured Ceramic Nonstick Frying Pan was sent to me for review purposes. I am glad I was given a chance to try this. I've never used a ceramic coated pan before and this is a good chance to know if this is better than my other non-stick pans. 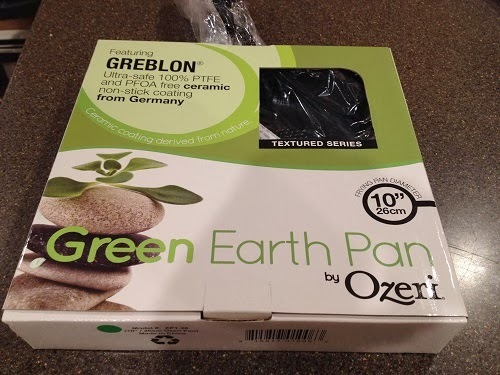 Unlike other ceramic pans the Ozeri Green Earth Pan utilizes GREBLON - an ultra-safe ceramic coating from Germany which is 100% PTFE and PFOA free. Innovative textured pan surface delivers enhanced heat distribution and superior non-stick performance without ever releasing harmful fumes or toxins. Features a scratch-resistant 100 percent ceramic coating that is super easy to clean. I like the over-all look of the Ozeri Green pan and it makes me feel good that it is made without adding a potentially harmful chemical that is often used in most nonstick pans. The heat is evenly distributed so the food is cooked faster. We used to think that ordinary non-stick pans are better than ordinary pans because you can cook with less or no oil, making our meals healthier. What we didn't know is that when heated to high temperatures they emit fumes that are toxic. Although these poisonous fumes are not strong enough to harm humans at once, constant exposure to them might pose health risks for our family in the future. One more thing that concerns me is the exact temperature at which the toxins are released is not clear. This will never happen with ceramic coated pans. I didn't find anything I didn't like with it. In fact, I am absolutely in love with this pan. Great for people who are more conscious of their health. If you're trying to eliminate or lessen the oil in your cooking, the Ozeri Green Earth Textured Ceramic Nonstick Frying Pan is the perfect cooking tool for you. 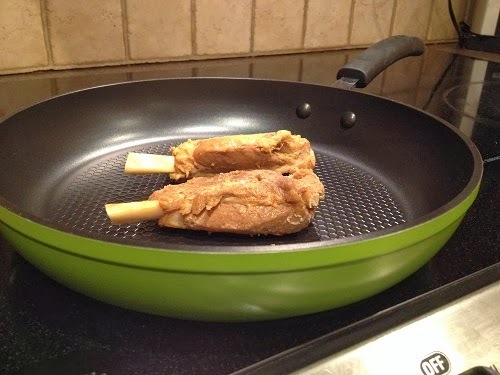 And for sure, you'll agree with me that this is the coolest pan you'll ever own. The Ozeri Green Earth Textured Ceramic Nonstick Frying Pan is available at Amazon. For more information and updates you can check the Ozeri website and like them on Facebook. Disclaimer: I received one or more of the products mentioned above for free in exchange for my honest review. All opinions expressed here are 100% mine and was in no way influenced by the brand or anyone. All photos used in the review were taken by myself or family. Do keep in mind that what works for me may not work for you. However, I only recommend products or services I use personally and believe will be good for my readers.